Spoiler Alert: I love this list of fun board games for boys and girls of (almost) any age – elementary, tweens, and teens. These are the games that are proven winners for my boys and their friends. 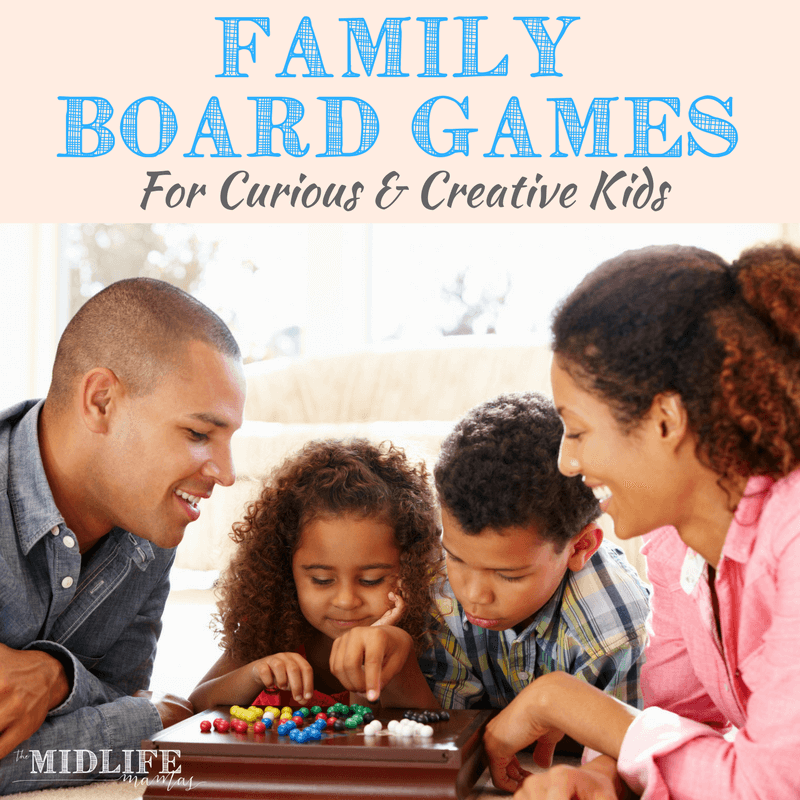 There are new and surprising games on this list that are perfect for family game night and I bet at least one of these games for creative kids and their adults will become a family favorite! Soul-crushing traffic covered I-75N like a parade of ants going to a picnic gala thrown by Martha Stewart. We were on the way home from vacation, and I tried to divert all the eyes from all the screens before they crossed and wouldn’t uncross ever again. “What was your favorite thing about our vacation?” Since we had a couple of rainy days, everybody was really happy we’d brought a couple of our favorite board games for boys. My guys love games for creative kids and a challenging board game. I love games that encourage kids to be creative, innovative, and to see things in different ways. Some of our very favorite games are terrific for encouraging the boys’ creativity. I’ve shared those here. There are also a couple that we haven’t tried – but that I’ve added to our holiday wish list! Ubongo is a fast-paced, addictive, and easy-to-learn geometric puzzle game. Players race against the timer and against each other to solve a puzzle of interlocking shapes. The faster you solve the puzzle, the more gems you get. The player with the most valuable gem treasure after nine rounds of solving puzzles wins! Here’s how it works: Each player receives a set of 12 tiles. The tiles are polyominos — geometric shapes formed of equal-size squares joined edge to edge in different arrangements. At the start of each round, each player gets a new puzzle board. A roll of the die determines which tiles you must use to perfectly fill in the empty spaces on the puzzle board. Any players who complete the puzzle within the time limit yell out ‘Ubongo!’ and grab a gem at random from the bag. The fastest player also gets a blue gem and the second fastest an amber gem. Each gem color is worth a different amount of points. After nine rounds, the player with the most valuable gem collection wins. 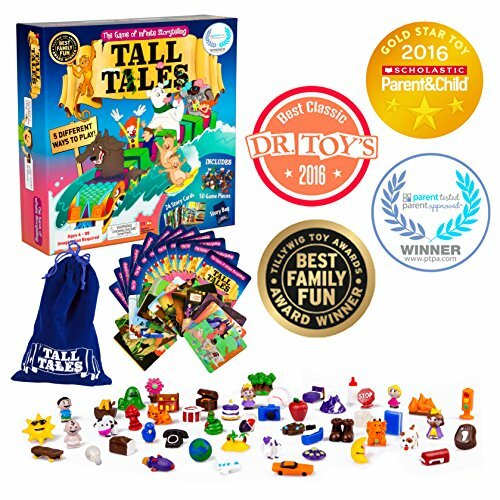 Tall Tales brings back the classic magic of imagination in a new and exciting family game. This creative, non-competitive storytelling game is for people of all ages. Players draw random story elements from a bag and twist their best tale using each piece, just like the world used to do before the technology revolution. The only limit is your imagination! Real 3-D game includes 50 detailed game pieces, 24 full color story cards and a story bag to store game pieces. 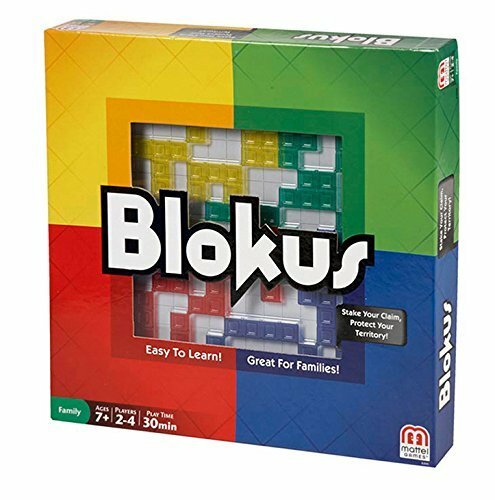 Blokus game received a Mensa award for promoting healthy brain activity! This thinking game also delivers friendly competition to keep the mind sharp and the excitement going! Logic is not enough! 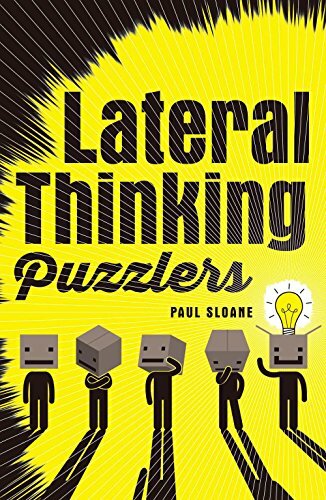 To unravel lateral thinking puzzlers, you have to train your brain to think differently. Ranging from (relatively) easy to fiendishly hard, these classic conundrums—almost 100 of them—require mental agility. Can you figure out these problems from only the vaguest details and yes-or-no questions? It’s challenging, imaginative fun. Dixit is the lovingly illustrated game of creative guesswork, where your imagination unlocks the tale. 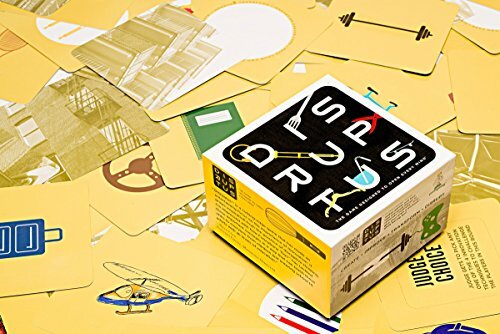 In this award-winning board game, players will use the beautiful imagery on their cards to bluff their opponents and guess which image matches the story. Guessing right is only half the battle ? to really succeed, you?ll have to get your friends to decide that your card tells the story! Every turn, the storyteller will call out a short phrase or word to match the image on his card. Then each player will choose the card that most closely matches that phrase, and then everyone must guess which card the storyteller saw when he invented his brief tale. Correctly guess the storyteller?s card, and you?ll move ahead. Convince everyone else that your card is best, and you?ll do even better. Dixit is a wonderfully simple game, playable by nearly anyone with whom you share a common language. 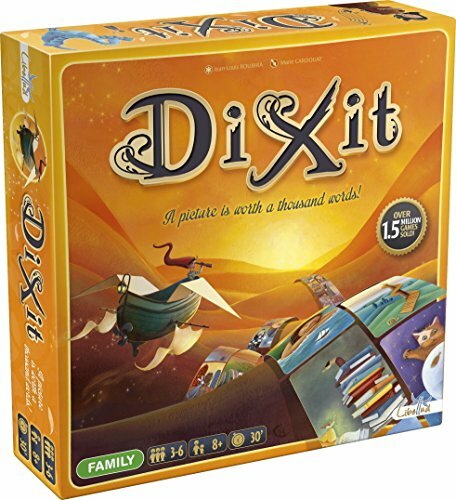 With a fantastic range of beautiful illustrations and rules that can be understood by children and adults alike, Dixit will appeal to anyone with an imagination. It?s no surprise that Dixit won the Spiel de Jahres award for game design in 2010. It is brilliant and simple, beautiful and imaginative, and fun for all. Prime climb is a beautiful, colorful, mathematical board game designed for 2 to 4 players. Roll the dice and add, subtract, multiply and divide your way to the center of the board, picking up prime cards and bumping your opponents back to start as you go. The first to land both pawns on 101 wins the game! everyone can learn to multiply and divide using prime climb’s unique color coding. Inspire deeper mathematical understanding while mastering arithmetic! prime climb is a perfect game for families & schools, kids & adults. 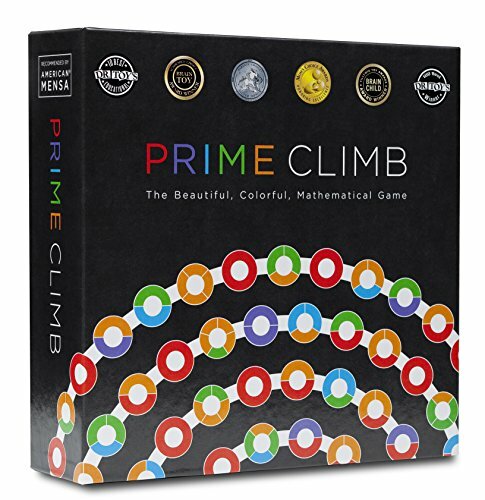 Awaken your love of math, with prime climb. Star Wars fans and chess players alike can enjoy this Star Wars chess game. 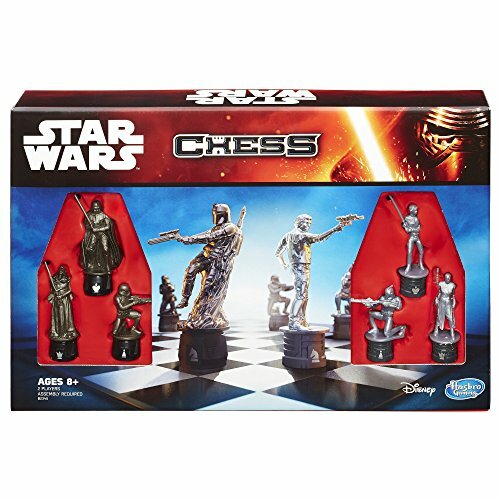 Featuring traditional chess gameplay, this edition includes pawns that are modelled after characters from the Star Wars universe, including those featured in the original trilogy, the prequel trilogy, and Star Wars: The Force Awakens. Players play as either the light side or the dark side, and battle for control of the board. The first player to place the opponent’s king in checkmate wins! 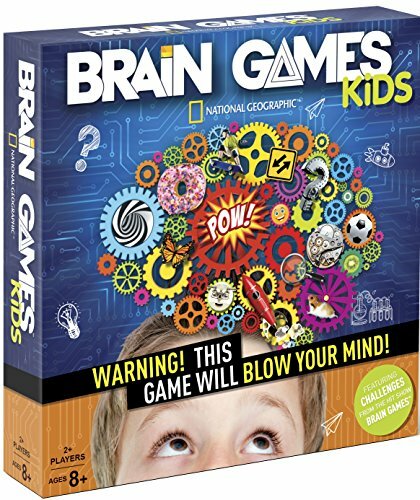 Based on the Emmy-nominated National Geographic Channel TV series, Brain Games, Brain Games Kids takes players through a series of challenges that puts both their mind and body to the test! Teams go head-to-head to test their logic, language, vision and physical coordination. It’s a great party game and perfect for family game nights! Are you yearning to be outrageously original and let your creative juices flow? If you answered YES to this question, then DISRUPTUS is the game for you! For one or more players Disruptus can also be played in teams. It’s also a great party game! It has you laughing and innovating from the moment the first card is flipped. Roll the game die, choose the appropriate card(s), then Create2, Improve, Transform or Disrupt. Each game comes with a pre-printed, six-sided die, 100 cards and a one-minute sand timer. Four scientists from across the world have been invited by the Earth Vision Industrial Labs (E.V.I.L), to create a chemical potion that would eradicate malnutrition. However, the E.V.I.L Chairman is looking to rule the world with a potent mind control potion. On refusing to cooperate, the scientists have been detained. Can you help them escape E.V.I.L? Each player chooses a magic trick from a collection of 16 tricks that involve chemicals. Players roll dice and move on the board to collect the chemicals. Once collected, players distract the warden with their magic trick and escape. The first player to escape wins! So as we slowly clawed our way home one painful exit at a time, I was able to divert their minds as we chatted about playing our favorite games during our week of vacation. 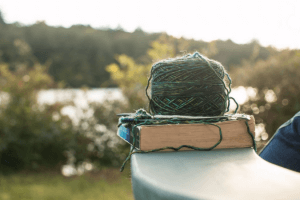 My heart was happy hearing the giggles and “Remember when…” stories. This is why I love our games so much. We have a cabinet full and we enjoy game nights at home and we always bring 3-5 with us when we go on vacation. We never bring toys and we eliminate or seriously limit electronics – but these games always come with. These games that encourage us to use our minds; to race for the win; or to work together collectively…they help strengthen our bond together as a family. 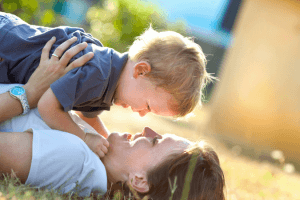 They create joyful memories for all of us. They bring us together in a way that gets harder and harder to find as kids hit the tween and teen years. I hope your family enjoys these games for boys (I’m sure they’re equally fabulous for girls as well; I just have only boys) as much as we do! 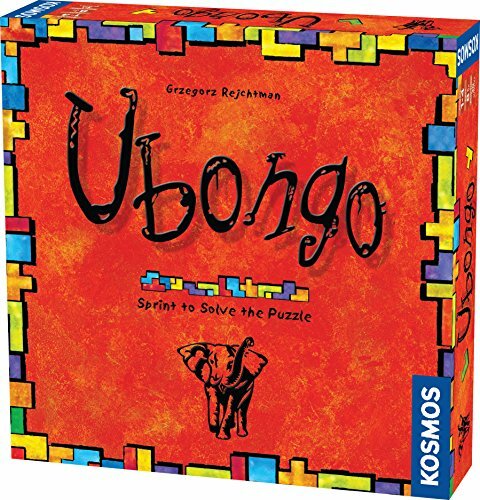 Ubongo is by far our current favorite! 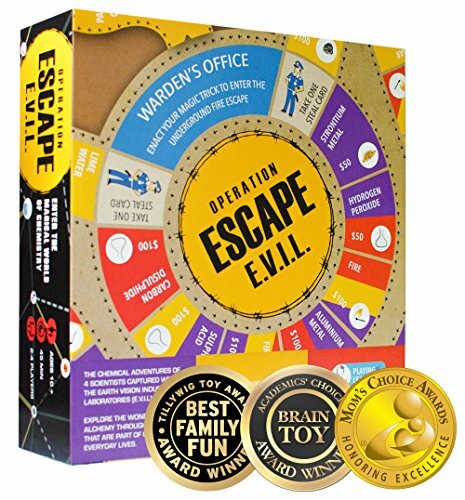 And I’ve added Operation Escape E.V.I.L and Disruptus to our holiday wish lists! Related Post You May Also Like: Epic Gift Guide for Boys Ages 7 to 10 That Even Goes Beyond LEGOs! I’d love to hear from you about your favorites on the list or the ones that you’ll be adding to a wish list! Oh! Don’t forget to Pin this post so you can come back to it whenever you need a little inspiration!